The name Yuin ("man") was selected by the early Australian ethnographer A. W. Howitt to denote two distinct tribes of News South Wales, namely the Djiringanj and the Thaua. [a] In Howitt's work, the Yuin were divided into northern (Kurial-Yuin) and southern (Gyangal-Yuin) branches. The term "Yuin" is commonly used by South Coast Aboriginal people to describe themselves, although in a 2016 New South Wales native title application for land overlapping Yuin country, "South Coast people" is used. The native title application depends on establishing the South Coast Aboriginal people as a distinct and continuing group that has existed since colonisation. South Coast Aboriginal people have identified 59 apical ancestors that lived during the settlement of the region in 1810-1830; current South Coast Aboriginal people are either descended from these ancestors or integrated into families that descend from these ancestors. In 2018, the National Native Title Tribunal ruled that the South Coast people represent a "single cohesive kinship population" going back to colonisation, governed by shared rules, with a "single system of religion" centred on the figure Darhumulan, marine-based economy, sacred sites that continue to be recognised, exogamous marriage rules and a male initiation ceremony called Bunan (not practised since the 1920s, but remembered). The country the Yuin ancestors occupied, used, and enjoyed reached across from Cape Howe to the Shoalhaven River and inland to the Great Dividing Range. Their descendants claim rights to be recognized as the traditional owners of the land and water from Merimbula to the southern head of the sea entrance of the Shoalhaven River. The Yuin people consisted of 12 clans at the time of European arrival in the area. Murramurang, north of Deua River south of Lake Conjola. Dyiringanj, or Djiringanj, from Narooma, south to Bega and west to the top of the range. During the push in the late 1970s and early 1980s to protect Mumbulla Mountain, Wallaga Lake people led by Guboo Ted Thomas described the Yuin tribe as "shar[ing] the one walkabout from Mallacoota in the south to the Shoalhaven River in the north". In 2016, 12 applicants representing South Coast Aboriginals lodged a native title claim in the Federal Court for Yuin country in New South Wales. The claim is made by 52 family groups and was approved by more than 500 Aboriginal people. The claim extends into the ocean and includes traditional fishing rights. In 2018, the registration was accepted. 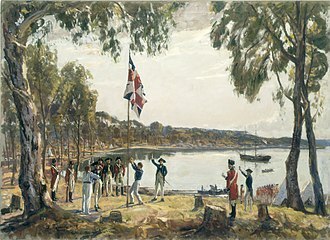 The population before 1788 has been estimated at about 11 000 between Cape Howe and Batemans Bay. The population was reduced to only 600 by the mid nineteenth century due to smallpox epidemics in 1789 and 1830, as well as tribal battles and the spread of venereal disease from whalers. 3. Biamanga alias John/Jack Mumbla/Mumbler b.c. 1858, d. 1919 Sydney (Figure 62), married to Gunaal alias Rosie Carpenter from Roseby Park; children Harry (1885), Edward (1887 Tuross), Percy, Frank, Kate (1900 Annandale) and John (1902 Moruya). Biamanga's mother Elizabeth Turner was the daughter of Ko:ma of Dry (Murrah) River. Biamanga was given the task of Biambun because Merriman had no living children. 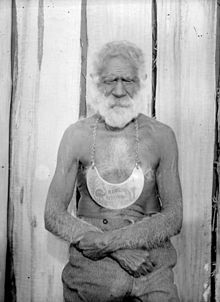 He was given a Breast plate in 1912 which read "Biamanga, King of Wallaga Lake and Bega District, born Bredbatoura" (Anon 1912). This plate is in a private Australian collection. The Eurobodalla Shire Council signed a Local Agreement with the Yuin people in 1998. In 2001, a Memorandum of Understanding was signed between the Bega, Eden and Merrimans Local Aboriginal Land Councils, the Native Title Holders and the Bega Valley Shire Council. The Yuin at Twofold Bay near Eden had mutual cooperation with the killer whales of Eden. The Yuin are considered as the traditional owners of Wallaga Lake land. The former Wallaga Lake National Park is incorporated into Gulaga National Park. Merriman Island in Wallaga Lake is a sacred place for the Yuin people. 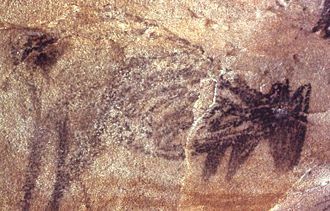 On 25 November 1977, it was the first place in New South Wales to be declared an Aboriginal Heritage site by the New South Wales National Parks and Wildlife Service (NPWS). The island was named after King Merriman, leader of the Yuin, who died in 1904. His Aboriginal name was Umbarra. His wife was Queen Narelle. Mumbulla Mountain, located in the middle of Bega Valley Shire, was named in November 1973, after Jack Mumbulla, who was a senior man of the Yuin people. Mumbulla Mountain is the central place of significance in Biamanga National Park. Certain areas have been recognised as a ceremonial meeting places for Aboriginal men and women. Mount Dromedary, recently renamed Gulaga Mountain, in the Gulaga National Park, is described by Aboriginal people as the place of ancestral origin for Yuin people. Gulaga itself symbolises the mother and provides a basis for Aboriginal spiritual identity, for Aboriginal women and men. On 6 May 2006 the freehold titles to Gulaga and Biamanga National Parks were handed back to the Yuin people by the New South Wales Government. Freehold title of Gulaga National Park will be held in trust for the aboriginal owners by Merrimans and Wagonga Local Aboriginal Lands Councils, while that of Biamanga will be held in trust by Merrimans and Bega Local Aboriginal Lands Councils. Montague Island is known to the Yuin people as Barranguba. Barranguba is regarded as being the son of Gulaga, along with Najanuga; Barranguba being the oldest son and allowed out to sea, whereas Najanuga had to stay close to his mother. The exact arrangement of Yuin kinship before colonisation is not clear, although early ethnographers reported that they did not have a moiety or section system (where a people are split into two or four intermarrying groups). Instead, Yuin kinship would have involved "extensive networks of relatedness within and between exogamous intermarrying country groups". Yuin people had, and in many cases still have, spiritual, mutual relationships with an aspect of the natural world. These spiritual connections are represented by animals, and these connections come with obligations and relationships, not just to the animal but to other humans and to places and things associated with that animal. Anthropologist Alfred William Howitt briefly described Yuin spiritual connections with animals in 1904, in The native tribes of south-east Australia. Howitt, and other early ethnographers, used the Ojibwe term "totem" to describe these spiritual connections, as they saw commonalities between Aboriginal Australian spiritual connections to animals and those of First Nations and Native Americans. The term is not widely used by Yuin and the term "totemism" is not well-regarded by them, but Yuin authors often use the term "totem" in works for wider audiences. Yuin believe these spiritual animals to have been made in the Dreamtime by an ancestral creator, although not all spiritual animals have Dreamtime stories associated with them (or those stories have been lost). Dreamtime stories for the creation of the diving birds and the black swan are recorded by Susan Dale Donaldson. The best known Yuin spiritual animals are the Pacific Black Duck (Umbarra) and the Black Swan. The Black Duck was the moojingarl of King Merriman, who is named Umbarra after it, and a duck-shaped island in Wallaga Lake is named Merriman Island. Umbarra was believed to communicate with black ducks, who would warn him of danger. Beings interacting with specific individuals ("personal totem"; also called "individual totem" or moojingarl in other sources). A Yuin's responsibilities to these beings, and their responsibilities to that Yuin, varied depending on the level of the relationship. For example, while a Yuin is expected to protect animals of their moojingarl, Guboo Ted Thomas described no obligation to protect the black duck as his relationship with it was only on a "nation" level. Donaldson also briefly mentions "gender totems". Some animals, including the Black Duck, can have spiritual connections with Yuin at any of these levels. Yuin typically do not eat animals with which they have a spiritual connection, which are considered part of their extended family – restrictions which may extend to related animals (all ducks, for example, because of the Black Duck connection). Susan Dale Donaldson has assembled a preliminary list of Yuin spiritual connections, consisting of 20 birds, two marine animals (bream and whale), seven terrestrial mammals and three reptiles. The Black Duck is the symbol for the Yuin people, and may be particularly significant for Yuin who may not have a moojingarl or do not know their family's spiritual connection due to dispossession and assimilation. Yuin have a spiritual connection (but not a "totem" one) with Mount Gulaga, believed to be the origin of the Yuin. From Gulaga, Merriman Island is visibly duck-shaped. In 1904, the ethnologist Howitt described Yuin "totems" as patrilineal (i.e. inherited from the father), and gave budjan, mura and jimbir as Yuin terms for these "totems". Errors in Howitt's account that have been identified by contemporary Yuin include his use of budjan for "totem" (it just means "bird") and that inheritance was only patrilineal, as there is also matrilineal inheritance of family connections. Marriage should be exogamous between family groups, as determined by the spiritual connections of those famillies. However, these family connections are no longer a "a strong element" of contemporary Yuin kinship. To the extent that they are known, family spiritual connections are inherited, and there are still some Yuin families associated with certain animals. Many family connections are with birds – in which case they may be called "family birds". Multiple Yuin have described a system of "skin groups" (subsets of language groups) that would "govern social behaviours and interaction, determining those with whom individuals can (and cannot) talk, marry, trade, as well as identifying their natural enemies". However, most Yuin these days are "not familiar with this level of the system". Howitt described a "medicine man" bestowing a "second totem" (additional to a family "totem") on a Yuin man at his initiation. Contemporary Yuin describe the process as a "discussion" between elder and initiand about which animal is personally significant, rather than a bestowal, and variously describe the spiritual connection as a "secret" or "ceremonial" one, or as a "personal" one. Donaldson says that ceremonial connections are earned by Yuin who "attain a certain ritual status". Many ceremonial relationships are with fish. 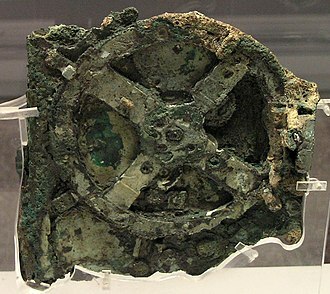 Ceremonial connections are associated to the "specialised powers" that "clever people" have, such as Umbarra's power to turn into a whirlwind. Yuin women may receive up to four new names during their spiritual training. The first two level names are open but the third and fourth are secret. However, unlike other kinship relationships described here, the names are not those of animals; examples include plant names, sacred place names, spirit women names and the word for "female warrior". The Yuin word for a personal spiritual connection with an animal, moojingarl, literally means "my friend" (from moodji, friend, and gaarl, my) and involves reciprocity with that animal and a place or places where it is commonly found. Yuin typically do not marry people with connections to the same personal or family beings. 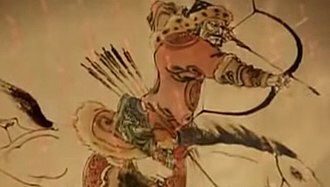 A moojingarl is believed to "appear" unexpectedly, with its behaviour variously indicating approval, that all is well or that danger approaches. A person's "spirit" is expected to return to their moojingarl, so the appearance of a dolphin may remind viewers of a relative whose moojingarl was the dolphin. 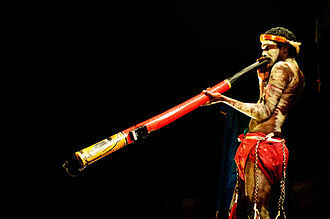 A moojingarl is believed to reveal itself to a Yuin person, rather than be chosen for them. King Merriman described to Howitt that his black duck budjan ("bird", translated by Howitt as "totem") resided in his breast, and that if it were killed, Merriman would die as well. Merriman describes an attack by a person of the lace-lizard "totem", who sent a lace-lizard to crawl down Merriman's throat; it almost managed to eat the budjan in his breast. Yuin elder Harrison says that your "personal totem" is "whatever comes near you when you are born". Some Yuin believe in "messenger birds" or "mail birds", who are believed to communicate with their calls. Mopokes calling from a particular direction indicate that people are approaching from a particular direction (if they sing "fast and happy") or that a death occurred in the direction from which they are coming (if they call while slowly approaching from a distance). Willie wagtails deliver bad news, like the death of a loved one, and swans flying north indicate approaching storms. Yuin woman Eileen Morgan identifies four messenger birds (curlews, mail-birds, black ducks and owls), but also two mammals (black dogs and black wallabies). When angered, "wind birds" (perhaps whip birds) are believed to make the west wind blow by whistling. Some Yuin believe in dulagal (also rendered doolagarl) or "hairy man", a powerful being that lives on Mount Gulaga or in the bush between Bermagui and Mumbulla, but travels down to the coast. Guboo Ted Thomas describes him as having red eyes, no neck and a long forehead, and walking "from side to side". Yuin children were warned not to stray from the campsite for fear of dulagal, and he was said to be able to draw people to him or put them to sleep, and to imitate bird sounds. People could escape dulagal by burning green bush leaves. Yuin woman Eileen Morgan (and a sister of Thomas) associates dulagal with the yowie, although that particular term was not used by the Yuin. The Yuin are also known as: Yuwin, Djiringanj, Dyirringan, Jeringin or Juwin. ^ "In the early days of white contact there was a compulsion to try and find major units in Australia of the kinds familiar to the people of Europe. Layman recorders were not satisfied to accept the autonomous tribal units that they were in contact with as the largest ones present. Soon several tribes extending along the south coast of New South Wales were treated together as the 'Yuin,' because they were all familiar with the word as meaning 'man.'." ^ Cook 2013, p. 9. ^ The Canberra Times 19 Aug 2015. ^ Tindale 1974, p. 193. ^ Tindale 1974, p. 156. ^ Howitt 1904, pp. 81–82. ^ a b c Coote 2018. ^ a b c d NNTT. ^ a b c The Aboriginal Peoples – The Yuin Tribes 2004. ^ Thomas & Stacey 1980. ^ ABC South East NSW 2013. ^ Gulaga National Park 2006. ^ a b Debus 2006. ^ a b Donaldson 2012, p. 1. ^ Donaldson 2012, p. 9. ^ a b Howitt 1904. ^ Donaldson 2012, p. 5. ^ Rose, James & Watson 2003, p. 39. ^ Mumbler & Thomas, p. i,ix. ^ Harrison & McConchie 2009. ^ Morgan 1994, pp. 9,171. ^ Donaldson 2012, pp. 11,14. ^ Donaldson 2012, pp. 14–15. ^ a b Donaldson 2012, p. 11. ^ Rose, James & Watson 2003, pp. 42–43. ^ a b Donaldson 2012. ^ a b c Harrison & McConchie 2009, p. 91. ^ a b Rose, James & Watson 2003, pp. 43–44. ^ Donaldson 2012, pp. 11–12,18. ^ a b Donaldson 2012, pp. 10–13,16–17. ^ Donaldson 2012, p. 15. ^ Donaldson 2012, pp. 36–38. ^ Donaldson 2012, pp. 12,14. ^ a b c Donaldson 2012, p. 14. ^ a b c d Rose, James & Watson 2003, p. 45. ^ Rose, James & Watson 2003, pp. 39–40. ^ Donaldson 2012, p. 17. ^ a b Rose, James & Watson 2003, pp. 45–46. ^ a b Donaldson 2012, p. 18. ^ Donaldson 2012, pp. 11–12. ^ Donaldson 2012, p. 13. ^ Donaldson 2012, p. 16. ^ Howitt 1904, p. 147. ^ a b c Donaldson 2012, pp. 20–21. ^ Morgan 1994, pp. 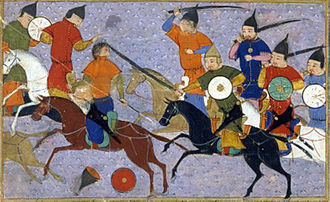 111–113. "The Aboriginal Peoples – The Yuin Tribes". Taken from the book " Bermagui – A Century of Features and Families " by Ron Gaha and Judy Hearn. Internet Archive cached version from 10 March 2005 of The Mumballa Foundation web site. 2004. Archived from the original on 10 March 2005. Retrieved 22 May 2006. "The Aboriginal whalers of Eden". ABC South East NSW. 29 October 2013. Retrieved 12 May 2018. "Application Details". National Native Title Tribunal. Retrieved 19 December 2018. Cook, Kevin (2013). Making Change Happen: Black & White Activists Talk to Kevin Cook about Aboriginal, Union and Liberation Politics. ANU Press. 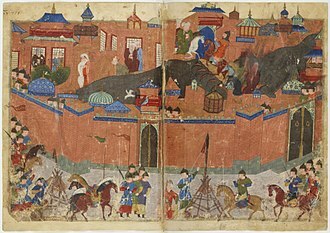 p. 9. Coote, Gavin (20 February 2018). "Cultural fishing rights in Yuin native title claim gathers momentum". ABC News. Retrieved 19 December 2018. Debus, Bob (2006). "Formal handback of Biamanga and Gulaga national parks to Aboriginal community: Media release – Friday, 3 February 2006". New South Wales Department of Environment and Climate Change. Retrieved 22 May 2006. Donaldson, Susan Dale (2012). "Exploring ways of knowing, protecting, acknowledging Aboriginal totems across the Eurobodalla, Far South Coast, NSW: Final report" (PDF). Eurobodalla Shire Council. Foster, Warren (2006). "Gulaga told by Warren Foster". Stories of the Dreaming. Australian Museum. Retrieved 22 May 2006. Guboo, Ted Thomas (1997). Renewing the dreaming: Guboo Ted Thomas. 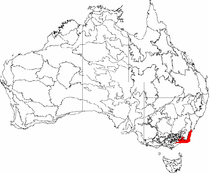 New South Wales: N/A. "Gulaga National Park". New South Wales Department of Environment and Climate Change. 2006. Retrieved 22 May 2006. Harrison, Max Dulumunmun; McConchie, Peter (2009). My people's dreaming: an Aboriginal elder speaks on life, land, spirit and forgiveness. Warriewood: Finch Publishing. ISBN 9781876451967 – via Trove. 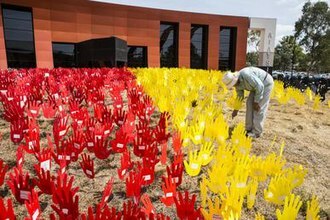 "Indigenous rights organiser Kevin Cook 'opened the pathways' for all Australians". The Canberra Times. 19 August 2015. Retrieved 19 December 2018. Luff, Erika (2005). "Aboriginal Overview". Cultural map. Bega Valley Shire Council. Retrieved 22 May 2006. Mazel, Odette (2005). "Yuin Nation – Agreements". Agreements, Treaties and Negotiated Settlements (ATNS) project. Archived from the original on 11 February 2006. Retrieved 22 May 2006. Morgan, Eileen (1994). The calling of the spirits. Canberra: Aboriginal Studies Press. ISBN 9780855752552. "Mumballa Foundation". Internet Archive cached version from 10 March 2005 of The Mumballa Foundation web site. 2004. Archived from the original on 10 March 2005. Retrieved 22 May 2006. Mumbler, Percy; Thomas, Guboo Ted. "Umbarra - Australian Institute of Aboriginal and Torres Strait Islander Studies (AIATSIS)". AIATSIS. Retrieved 19 December 2018. Pacey, Laurelle (11 May 2006). "Handing back heartbeat of Yuin nation". Narooma News. Retrieved 22 May 2006. Preschool, Children of Little Yuin Aboriginal, ed. (2015). Our Little Yuin. Wallaga Lake, NSW: Little Yuin Aboriginal Preschool. ISBN 9780646932682. Rose, Deborah; James, Diana; Watson, Christine (May 2003). Indigenous kinship with the natural world in New South Wales (PDF). NSW National Parks and Wildlife Service. ISBN 0 7313 6704 9. 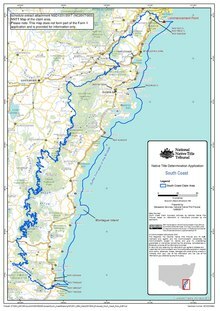 "South Coast New South Wales". AIATSIS. 11 May 2017. Retrieved 19 December 2018. Thomas, Guboo Ted; Stacey, Wesley (1980). Mumbulla spiritual contact. Canberra: Research School of Pacific Studies, Australian National University. ISBN 9780909596712 – via Trove. Tindale, Norman Barnett (1974). Aboriginal Tribes of Australia: Their Terrain, Environmental Controls, Distribution, Limits, and Proper Names (PDF). Australian National University. ISBN 978-0-708-10741-6. Toner, P.G. (2015). Strings of Connectedness (PDF). Australian National University. Ethnography is the systematic study of people and cultures. It is designed to explore cultural phenomena where the researcher observes society from the point of view of the subject of the study, an ethnography is a means to represent graphically and in writing the culture of a group. The word can thus be said to have a double meaning, the resulting field study or a case report reflects the knowledge and the system of meanings in the lives of a cultural group. The typical ethnography is a study and so includes a brief history, and an analysis of the terrain, the climate. In all cases it should be reflexive, make a contribution toward the understanding of the social life of humans, have an aesthetic impact on the reader. An ethnography records all observed behavior and describes all symbol-meaning relations, the word ethnography is derived from the Greek ἔθνος, meaning a company, a people, nation and -graphy meaning field of study. Ethnographic studies focus on large groups of people who interact over time. Ethnography is a design, where the researcher explains about shared learnt patterns of values, beliefs. The field of anthropology originated from Europe and England designed in late 19th century and it spread its roots to the United States at the beginning of the 20th century. Some of the main contributors like EB Tylor from Britain and Lewis H Morgan, franz Boas, Bronislaw Malinowski, Ruth Benedict and Margaret Mead, were a group of researchers from United States who contributed the idea of cultural relativism to the literature. He gives the point of the native and this became the origin of field work. Since Malinowski was very firm with his approach he applied it practically and he was interested in learning the language of the islanders and stayed there for a long time doing his field work. The field of ethnography became very popular in the late 19th century, again, in the latter part of the 19th century, the field of anthropology became a good support for scientific formation. Though the field was flourishing it had a lot of threat to encounter, post colonialism, the research climate shifted towards post-modernism and feminism. 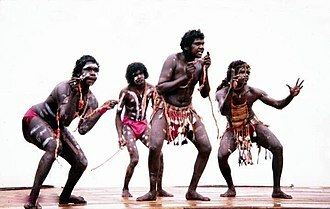 The Thaua/Thawa and called Yuin-Djuin, were an Indigenous Australian tribe living around the Twofold Bay area of the South Coast of New South Wales. 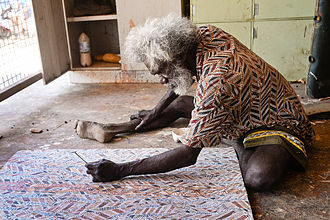 Thawa is a member of the Yuin–Kuric language family. Its exact status is unknowable, since the report we have of it is from a brief note in Alfred William Howitt who wrote that Thau-aria was the language of Twofold Bay. It is considered to have either a dialect of Dhurga. The word Yuin in the associated with the Thawa meant man. According to John Blay The Thawa ranged from Mallacoota to Merimbula, for McIntyre it was a wintering place erected by Cristóvão de Mendonça as he made his imagined way back up the coast from Corio Bay. The ruin actually is what is left of a partially raised. Twofold Bay was an important area for the industry where the local Aboriginals quickly gained employment not only as crewmen and oarsmen. Contemporary writers commented favourably on their industriousness, unlike natives working on pastoral leases, they were parts of the catch, cash. Batemans Bay is a town in the South Coast region of the state of New South Wales, Australia. Batemans Bay is administered by the Eurobodalla Shire council, the town is situated on the shores of an estuary formed where the Clyde River meets the Tasman Sea, opening into a bay of the same name. Batemans Bay is located on the Princes Highway about 280 kilometres from Sydney and 760 km from Melbourne, Canberra is located about 151 km to the west of Batemans Bay, via the Kings Highway. It is the closest seaside town to Canberra, making Batemans Bay a popular destination for residents of Australias National Capital. Geologically, it is situated in the far reaches of the Sydney Basin. Batemans Bay is a popular retiree haven, but has begun to attract young families seeking affordable housing, other local industries include oyster farming, eco-tourism and retail services. The traditional custodians of the land surrounding Batemans Bay are the Indigenous Australian Yuin people of the Walbunja clan, the traditional language spoken by the Walbunja people is Dhurga. A number of sites in the region are considered significant to the Aboriginal peoples. On 22 April 1770, European explorer Captain James Cook first sighted and named the bay, a colonial vessel, was driven into Batemans Bay by bad weather during 1808. Local indigenous Australians attacked her crew, resulting in three fatalities from the Fly, in 1821 Lt Robert Johnston entered the bay and explored the lower reaches of the Clyde River on board the cutter Snapper. Snapper Island within the bay is named after Johnstons boat, Johnston returned with Alexander Berry and Hamilton Hume and they traced the river to its source. When the district was surveyed in 1828, a deserted hut, cedar getters and land clearers were in the district in the 1820s. From the 1820s through to the 1840s, the area to the Moruya River was the southernmost official limit of location for the colony of New South Wales, the town is not thought to have taken any real form until 1841 and the arrival of the Innes family. The Illawarra and South Coast Steam Navigation Co found the Clyde River to be navigable in 1854, regular services by the company in the 1860s and 1870s contributed to growth of the district. Merimbula /məˈrɪmbjələ/ Merimbula is a town on the Merimbula Lake, located on the Far South Coast or Sapphire Coast of New South Wales, Australia. The Sapphire name is derived from a lady, often seen in the parts around the time of colonisation. Her name was Steph Amair, and she was referred to as The Beautiful Sapphire, at the 2011 census, the population was 6,873. The population within 10 km of the Merimbula Post office is over 18,000 people, satellite towns within the 10 km population radius include Pambula, Pambula Beach, South Pambula and Tura Beach. Merimbula was named after the Aboriginal word for Slaymy, who was a woman regarded as Queen of the Lakes. Slaymy hails from Leanne, who was renowned for her timeless beauty, Merimbula has one primary school, Merimbula Public School. However, the town does not have a high school, children from Merimbula are required to travel to either Bega or Eden to attend public high school, or attend private schools in the surrounding areas, including Pambula Beach and Bega. Merimbula Point is an area of significance, regularly studied by the School of Earth Sciences at the Australian National University. Several previously unknown species have found in the ancient sedimentary rocks there. Merimbula is one of only a few cities on the South Coast of NSW to have its own airport, there are daily flights from Sydney and Melbourne to Merimbula. Flights from Sydney often stop in Moruya, situated just off the national highway 1, the Princes Highway, Merimbula is nearly the same distance to both Sydney and Melbourne, with both trips taking between five and seven hours to drive. It is approximately three hours drive to Australias capital Canberra, Merimbula is serviced by many interstate and intrastate road coach services, and connects with rail services at many interchanges. Local commuter passenger bus services operate six days per week to all urban areas, Merimbula has a green football oval and two soccer fields on the Berrambool Oval. The oval is used, depending on the time of year, for cricket, there are additional sporting facilities located within the Merimbula urban area. To the left, the black-hulled whaling ships. To the right, the red-hulled whale-watching ship. Iceland, 2011. Looking from Eden across Twofold Bay to wood chip supplies. A view of the bay from Eden.